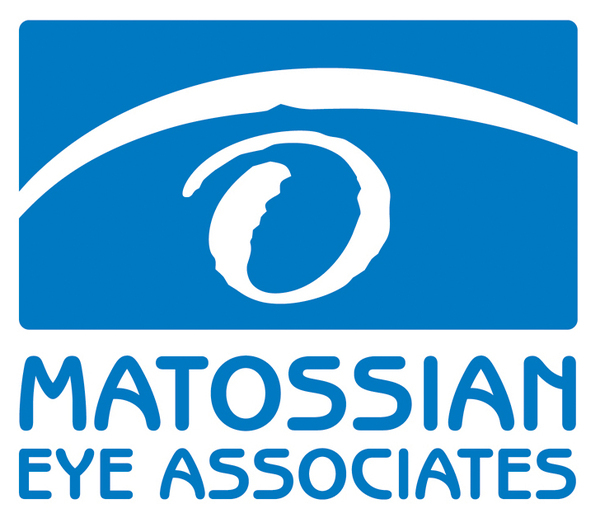 Matossian Eye Associates welcomes Henry Lee, MD. Dr. Lee is a board-certified ophthalmologist with additional fellowship training in oculofacial plastic and reconstructive surgery. He specializes in cosmetic and non-cosmetic procedures involving the eyelids, the tear ducts, and the orbit/eye socket. Dr. Lee is originally from New Jersey and received his medical degree from the Mount Sinai School of Medicine in New York City. He completed his residency at the University of Pennsylvania Scheie Eye Institute in Philadelphia. Dr. Lee then completed two additional years of subspecialty training in an American Society of Ophthalmic Plastic and Reconstructive Surgery (ASOPRS)-sponsored fellowship in Seattle, WA, where he gained much experience with minimally-invasive cosmetic procedures such as dermal filler and Botox® injections. 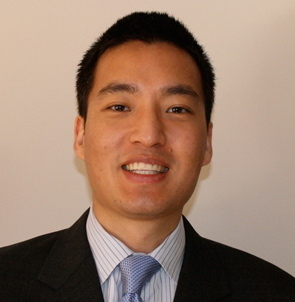 Dr. Lee will be working at MEA on a part-time basis in both the Doylestown, PA and the Hopewell, NJ offices. 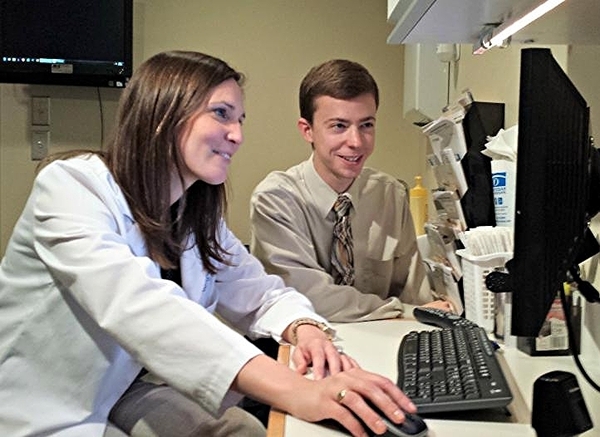 Andrew Pisetzner, a Ewing resident and student at Susquehanna University, spent several days shadowing the doctors and technicians at MEA. Aalia Khan, an undergraduate at Rutgers University majoring in Psychology, is aspiring to enter the field of optometry. "It was so much more than I expected," Aalia said of her experience shadowing Rebecca Posner, OD in MEA's Hopewell, NJ location for two weeks. "Dr. Posner didn't just give me information to study. I got real, hands-on experience in so many things - from the optomap to patient care and interaction. It was an incredibly valuable experience." Local students who wish to gain basic knowledge of ophthalmology and optometry as well as a comprehensive view of the running of a medical practice should feel free to contact us. Published in TearLab's The Dry Eye Review: In My Practice, this series outlines the Tear Osmolarity process and its value to both patient and practice. Please click here to read these blogs. Every year the staff, doctors, and their families head out to a ball game to cheer the Trenton Thunder. As the official team ophthalmologist for the Trenton Thunder, a AA affiliate of the New York Yankees, this is an event we look forward to all year. 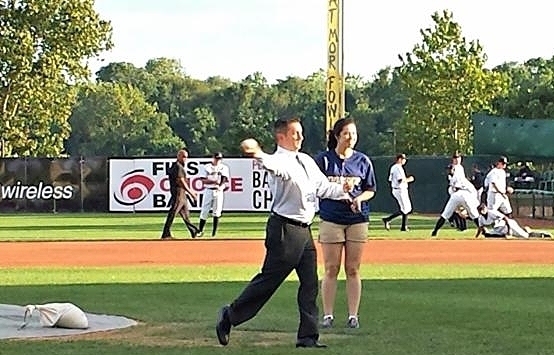 This year, Brad Botelho, our practice administrator threw the first pitch! In August, we held our company picnic at Tyler State Park in Newtown, Pennsylvania. We enjoyed an afternoon of fun with the doctors, staff, and their families. Everybody contributed their own 'potluck' dish to share. We played croquet, horseshoes, lawn golf, and all sorts of other outdoor games. It was such a nice opportunity to better get to know each other in a casual setting! Starting off your day with a cup of coffee may be doing more for you than just helping you perk up - the coffee that you enjoy so much is also defending your eyes. 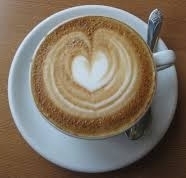 Coffee contains alkaloids which have an anti-cataract effect on the lens of the eye. One of the known factors in the development of cataracts is UV exposure. These ultra violet rays which come from the sun cause build-ups of compounds called free radicals that impact the body in a negative way. Due to caffeine's ability to block free radicals, researchers at the University of Maryland found that caffeine counteracts the UV effects that cause cataracts. The results require further testing. One day, eye drops that mimic caffeine's lens-protective alkaloids may be used to delay the onset of cataracts. Age-related macular degeneration (AMD) is a common eye condition that affects millions of people over the age of 50. Macular degeneration causes loss of central vision, which interferes with simple everyday activities, such as the ability to see faces, drive, read, write, or do close work. There are two types of AMD: wet and dry. In Dry AMD, there is no blood in the macula. In wet AMD, abnormal blood vessels grow underneath the retina. These vessels leak fluid and blood, and interfere with vision. 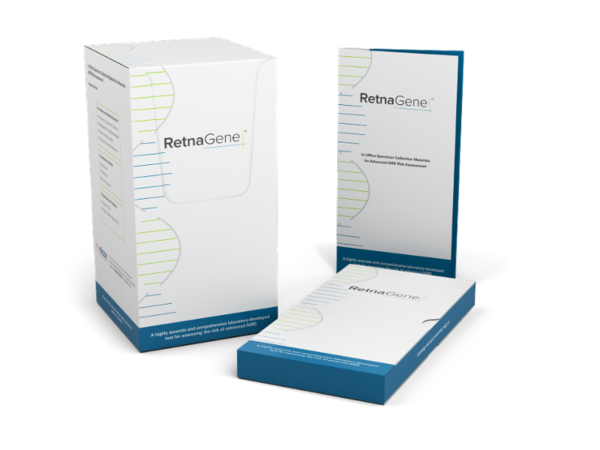 A major risk factor for developing either type of AMD is a family history of AMD. A "Feast for the Eyes!" Research shows that eating a diet rich in certain nutrients may reduce the risk of macular degeneration and potentially slow the progression of the disease for those already affected. 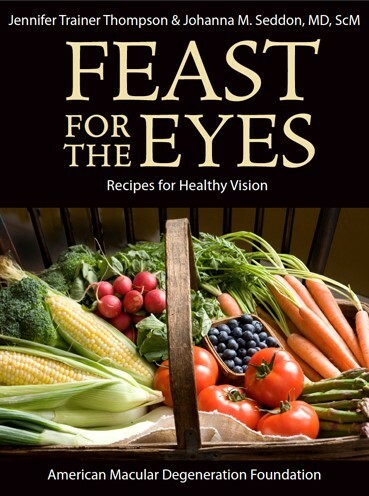 The American Macular Degeneration Foundation (AMDF) is selling a cookbook on their website called Feast for the Eyes: Recipes for Healthy Vision which features over 80 healthy and tasty recipes. There are recipes for appetizers and salads, hearty main dishes, refreshing drinks, and delicious desserts. The cookbook is written by Jennifer Trainer Thompson and Johanna M. Seddon, MD, ScM, a renowned macular degeneration clinician. The book costs $35.00 with $5.00 for shipping. All proceeds support the prevention, treatment, and cure of macular degeneration by raising public awareness, providing support, and supporting scientific research. Feast for the Eyes is available online here, mail-in form here, or by calling 888-622-8527. 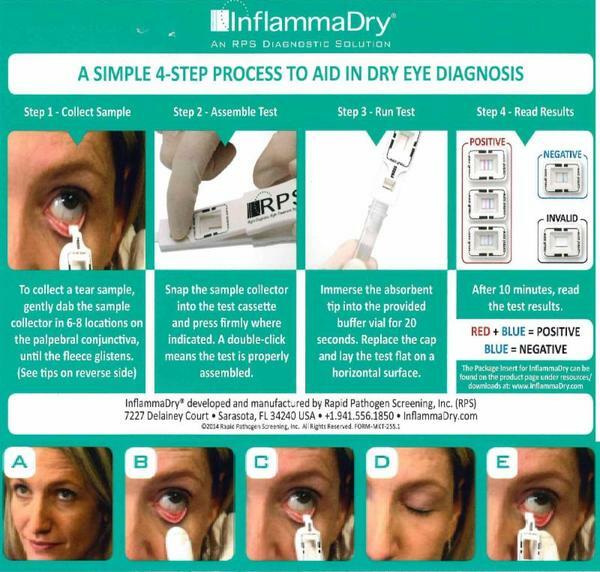 Matossian Eye Associates is proud to offer InflammaDry®, a new technology designed by Rapid Pathogen Screening, Inc. (RPS) to assist in the diagnosis of dry eye disease. InflammaDry® is a rapid, disposable, in-office test to aid in the diagnosis of dry eye disease that can be used in conjunction with TearLab™ Osmolarity testing to provide the doctor with more information. InflammaDry® is covered by insurance. 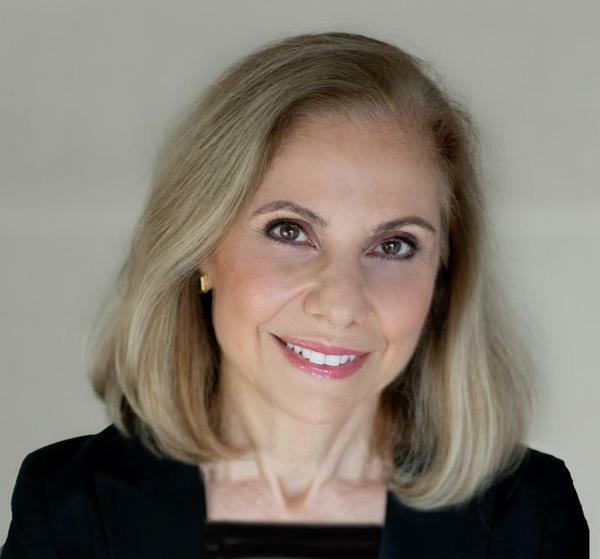 Cynthia Matossian, MD, FACS will be speaking on her use of ReSure® Sealant in high risk cataract patients at the American Academy of Ophthalmology's annual meeting in October 2014. Ilya Rozenbaum, MD will be presenting a glaucoma surgical course at the American Academy of Ophthalmology's annual meeting in October 2014. Cynthia Matossian, MD, FACS was honored to be named ShoutMD Ambassador for Physician Recommended Nutriceuticals by Alphaeon. 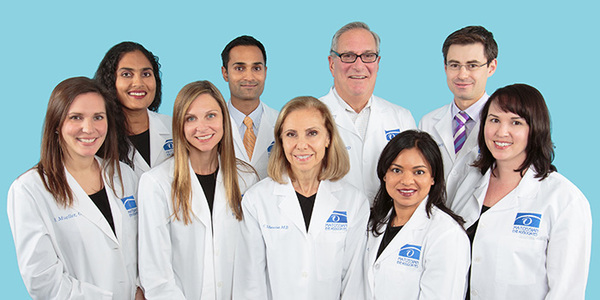 Cynthia Matossian, MD, FACS was invited to review Dr. Amar Agarwal's book "Posterior Capsular Rupture: A Practical Guide to Prevention and Management" for Ocular Surgery News. Ilya Rozenbaum, MD spoke to seniors at Pine Run Community in Doylestown, PA on cataracts and glaucoma in October 2014. Cynthia Matossian, MD, FACS spoke on Malyugin Ring Insertion with Visco-Assist Technique at the American-European Congress of Ophthalmic Surgery (AECOS) Summer Meeting in Deer Park, Utah in July 2014. Joan Micucci, COMT spoke on The Aging Eye at the Ewing Senior Center in July 2014. Cynthia Matossian, MD, FACS spoke on The Early Detection of Sjogren's Syndrome for Patients with Dry Eye at several roundtable discussion for physicians. Cynthia Matossian, MD, FACS was invited to speak on The Consequences of Neglect - Dry Eye: Pre-operative Planning and Post-operative Outcomes at ASCRS/ASOA meeting in Boston this Spring. Cynthia Matossian, MD, FACS spoke on Surgical Pearls for Challenging Cataracts: Video Case Presentations at ASCRS/ASOA in Boston this Spring. 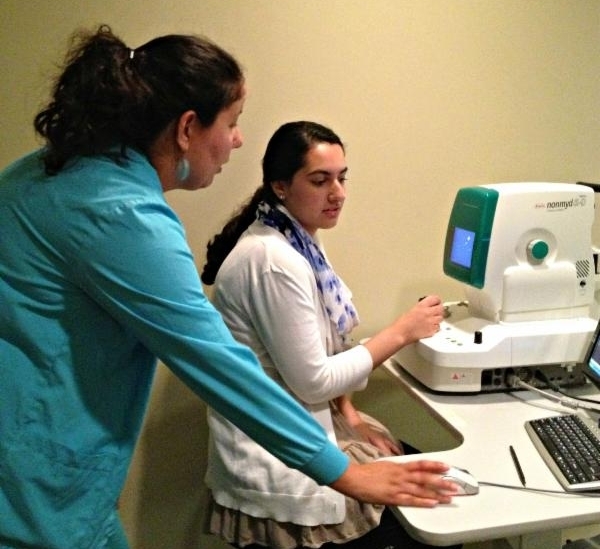 Cynthia Matossian, MD, FACS and Ilya Rozenbaum, MD held a Continuing Education Event for Area Optometrists. Ilya Rozenbaum, MD spoke about minimally-invasive glaucoma surgery and Cynthia Matossian, MD spoke about IPL (Intense Pulse Light) for meibomian gland disease in June of 2014. Cynthia Matossian, MD, FACS was interviewed on the topic of "Dry Eye Essentials" for the September 2014 edition of Ophthalmology Management. Please click here to read the article. Cynthia Matossian, MD, FACS was interviewed by Imprimis Pharmaceuticals regarding a procedure that could eliminate the need for post-operative drops. To view the video, please click here and type the password "bmc." Cynthia Matossian, MD, FACS was interviewed by EyeWorld on "Pseudophakic dysphotopsia: Personalized approach key to best IOL selection." Please click here to view the video. "A Corneal Analyzer for Advanced Surgical Planning," Cataract & Refractive Surgery Today, September 2014, please click here to read the article. "Digital Resources in Ophthalomology," Cataract & Refractive Surgery Today Europe, September 2014, please click here to read the article. "New Sealant's Many Uses after Cataract Surgery," Cataract & Refractive Surgery Today, August 2014, please click here to read the article. "Preloaded Injection System Provides Convenient Way to implant Hyrdophilic Acrylic IOL," Ocular Surgery News, June 2014, please click here to read the article. "How Clinical Trials can Help Differentiate Your Practice," Ophthalmology Management, July 2014, please click here to read the article. "Managing Pain and Inflammation After Cataract Surgery," Cataract & Refractive Surgery Today, June 2014, co-written by first-year medical student at Johns Hopkins University School of Medicine Ophelia Yin, please click here to read the article. "Topography to Screen Refractive Cataract Surgery Patients for OSD," Advanced Ocular Care, May/June 2014, please click here to read the article. I am very happy to have returned to my home state of New Jersey this summer. After spending time in Seattle and Connecticut over the past few years, my family and I have been enjoying diverse activities offered by our wonderful state. Our young children enjoyed spending time at the Jersey shore. They even had their first boardwalk pizza! Many days were spent swimming, hiking, and scavenger hunting. Now, as the school year has started, my children are enjoying going to their new schools and making new friends. We are looking forward to new fall activities, like apple picking and the return of football! We hope everyone has also had a enjoyable and exciting summer with family and friends. Wishing You a Wonderful Fall and Winter!